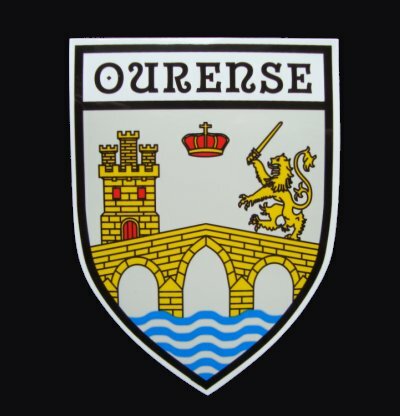 Ourense County Crest sticker. Durable and water resistant, this sticker is ideal for your car or motorbike. » Size: 8.7 x 12 cm (3.4''x4.7''). » Made in PVC plastic, durable and water resistant.